This is a special order kiln and will normally take 20-30 days to arrange production and delivery although please allow upto 60 days depending on the time of year and Paragons production schedule. 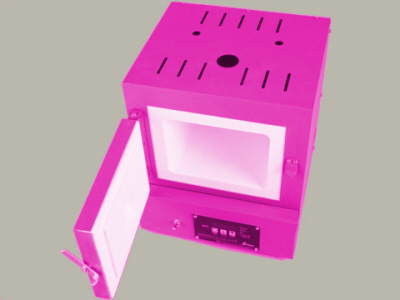 Pink Paragon SC2 Bead Annealing Kiln with Bead Door and Window. Please remember that this special edition colour kiln is not a stock item and will take 10-14 days to be delivered . This great little kiln from Paragon is fantastic for the lampwork beadmaker. Small enough to fit on your bench top it is fitted with a digital controller featuring 4 independent programmes, each can have up to 8 segments and 5 x single segment programmes.The inside dimensions are 20cm deep x 20cm wide x 15cm high. The kiln can be programmed for bead annealing, glass fusing, silver clay and enamelling and features a front opening door with bead mandrel door.External measurement are 33cm wide x 33cm deep x 39cm high and is fitted with a normal household 13amp plug which will fit any household socket. Maximum temperature is 1050 oc and is very economical to run and comes with the standard Paragon 12 months warranty.